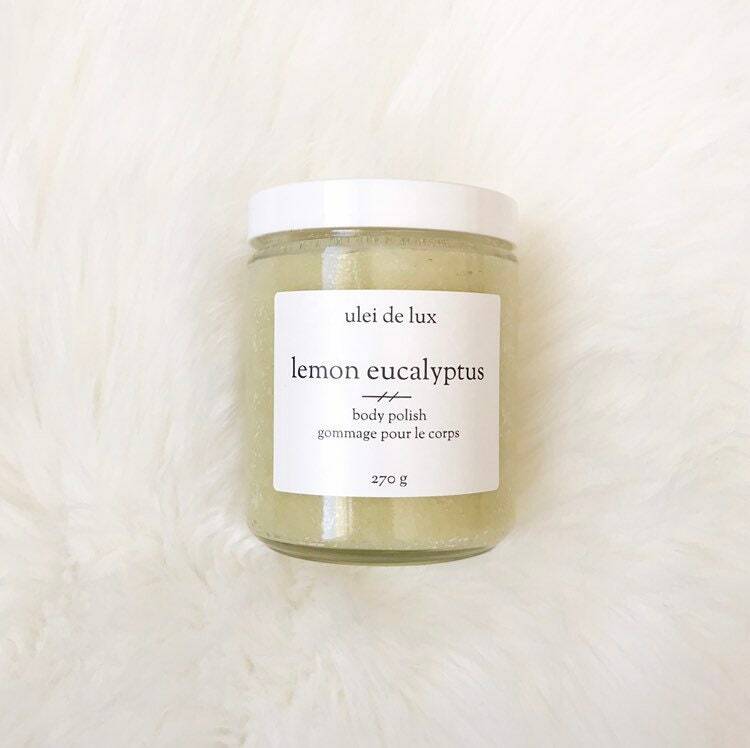 This refreshing body scrub uses sugar, matcha green tea, lemon and eucalyptus essential oil to gently exfoliate and soften skin. The coconut oil and shea butter will leave your skin hydrated and protected with no need to apply body lotion afterwards. Using clean fingers, scoop out desired amount, avoiding allowing water to enter jar. Gently apply the scrub to wet skin in a circular motion. Thoroughly rinse with warm water and massage remaining oil into skin. 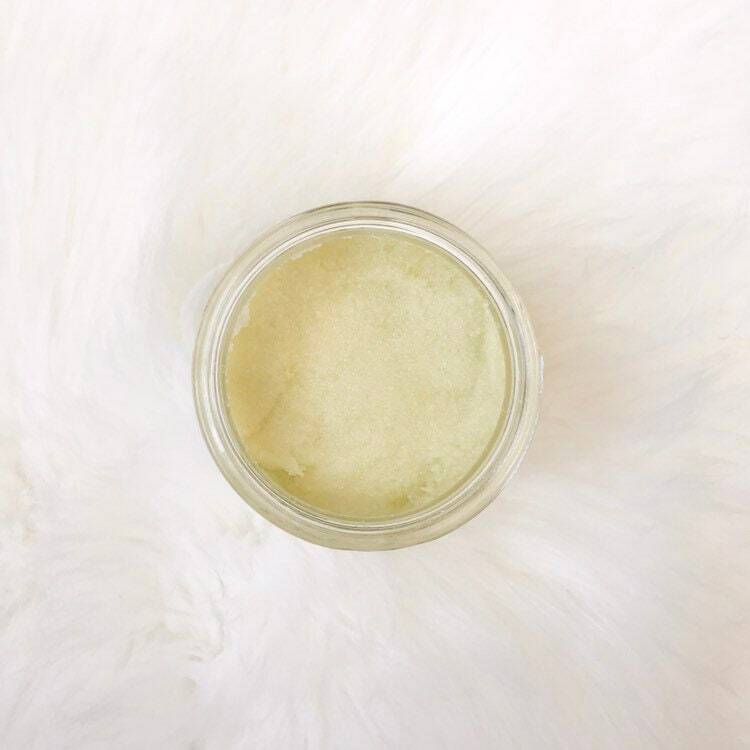 Ingredients: Sucrose (Sugar), Caprylic/Capric Triglyceride (Coconut oil), Butyrospermum Parkii (Shea) butter, Camellia sinensis (Green Tea) Powder, Citrus Limonium (Lemon) Oil, Eucalyptus globulus (Eucalyptus) oil.